The abstract allows a researcher to quickly evaluate the content of your paper, and judge whether it’s relevant to their research. As a result, an abstract needs to convey a complete synopsis of the paper, but within a tight word limit. This restriction is where the difficulties lie. You will be given a maximum word count for an abstract, such as 200 words, and it is essential that you remain within this limit. Nowadays, scientific papers are generally placed onto a database, with strict limits on the number of words, meaning an overlong abstract risks the entire paper becoming rejected. Writing an abstract includes briefly introducing the general topic of the work and then explaining the exact research question, including the aims. It should then include a brief description of the methodology, the results and the discussion. You should try to stick to the exact research question answered, and avoid including your own personal interpretations - if people believe that your paper is relevant they will come across those in due course. The same applies with the methodology - you could, for example, state that you used chromatography as part of the experiment. If somebody decides that your paper is relevant, they will find out exactly what type of chromatography you used in the method section. Fitting all of this into a very restrictive word count can be a daunting task. 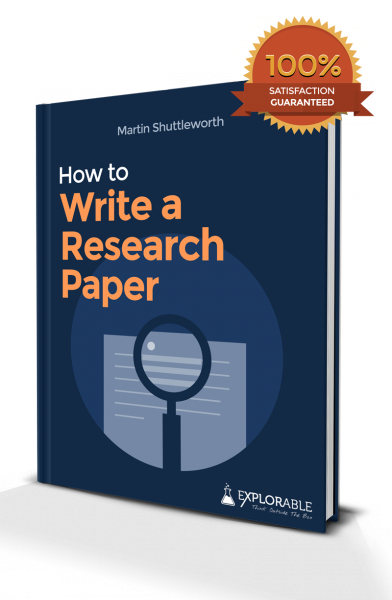 Start writing an abstract without worrying too much about the word limit, making sure that you include all the information that you believe to be relevant. Leave it for a day or two and then you can embark on an edit. On the other hand, if your abstract is too short, then you have probably left some important information out. Re-check, and see if you have missed anything out, referring to your outline if you are not sure. You can also ask another student to read it for you, as an independent assessor. If they cannot make any sense of your abstract, then it is back to the drawing board.